Holidays are all about pleasure. The pleasure of the company. The pleasure of food. The pleasure of wine. As the very least, they should be. If this would be an Instagram, I could end my post here, but in this blog, I can add a few words, right? Let’s talk about the wine first. Everyone has their ideas as what is the best Thanksgiving wine. Some talk about how difficult it is to pair any wine with the Thanksgiving table, due to the large variety of dishes and often prevalent sweet flavors (this is not universal, of course). I have a very simplistic view of the wine and food pairing – give me tasty food and good wine, and if they don’t work together – no problems, I’m happy to consume them one by one. Difficult or not, pairing is not the focal point of my Thanksgiving wine selection. I really have only one strong preference for the Thanksgiving wines – they should be all American. Thanksgiving we celebrate here in the USA is all about this country, and so the wine should match that. And thinking about American wines, you understand how easy it is nowadays to have all-American wine experience. How many of you heard of Napa Valley? Okay, I see that look, this was a stupid question, I know. But let me go on. How many of you heard of Spring Mountain District? Okay, I see your facial expression changing to say “hmmm, I’m not so sure”. And the last question – how many of you heard of Smith-Madrone? Okay, don’t feel too bad, at the end of the day it is one of the about 400 wineries located in the Napa Valley, so of course, one can’t know all of them. But – this is why I’m talking about it – this is the winery you might want to get better acquainted with. Smith-Madrone is one of the oldest wineries in Napa Valley, started by brothers Stuart and Charles Smith in 1971. Smith-Madrone property is about 200 acres, with some parts of the vineyards planted more than 100 years ago, all located near the top of the Spring Mountain in Napa Valley. The name Smith-Madrone combines the family name with the name of the evergreen Madrone trees, prominently growing at the property. Well, instead of me trying to regurgitate the past and present of the Smith-Madrone winery, let me direct you to this article – it is a good story, well worth a few minutes of your time. When was the last time you had Napa Valley Riesling? If you answered “never”, it could’ve been my answer too – until I discovered this Smith-Madrone Riesling. Riesling is simply not a common grape for the Napa Valley, but Smith-Madrone produces the absolutely beautiful rendition of the famous grape. It might be due to the mountain fruit – all the Smith-Madrone vineyards located at the altitude of 1300 to 2000 feet, with slopes reaching 34%. Sustainable dry farming and winemaking practices also play a role, but one way or the other, the 2015 Smith-Madrone Riesling Spring Mountain District Napa Valley (12.9% ABV, $32) was just delicious. varietally correct both on the nose (honeysuckle, a touch of tropical fruit, lemon, apples) and the palate, which was beautifully balanced with golden delicious apples, a touch of honey and acidity. To make me ultra-happy, the Riesling is sported a distant hint of petrol, which is my pet peeve. 2015 Smith-Madrone Chardonnay Spring Mountain District Napa Valley (14.4% ABV, $40, 10 months in French oak) was equally beautiful. Again, the wines of that styling I call in my book “classic”. A touch of vanilla and apples on the nose, a distant hint of butter, continuing with the same vanilla and white apples on the palate. Clean acidity, noticeable minerally undertones, restrained, balanced – a very classic example of “how to do chardonnay right”. With the risk of sounding very boring and repetitive, I have one more classic wine for you – 2014 Smith-Madrone Cabernet Sauvignon Spring Mountain District Napa Valley (13.9% ABV, $52, 85% Cabernet Sauvignon, 8% Cabernet Franc, 7% Merlot, 70% new French oak, 30% one-year-old French oak for 18 months). How classic was this wine? Bordeaux-classic. The mountain fruit was shining, showing great restraint. This was not an exuberant typical Napa Cab – lean, tight, well-structured, with cassis both on the nose and the palate, the wine was very enjoyable now, and it will be equally or more enjoyable in 30 years. So that was my main wine story on the Thanksgiving day. The rest was about the food – starting the smoker as 9 am in the 21°F weather (about -6°C), and then watching the turkey slowly getting to the right temperature. The silver lining of that cold weather was the fact that instead of 4-4.5 hours in the smoker, it took about 6 hours to get that big bird to the right doneness – and slower cooking results in more tender and more flavorful meat. A glass of Smith-Madrone Riesling was adding to the cooking enjoyment. After celebrating Thanksgiving at our house, we went to see our close friends in Boston. What I love about that house is that there are always a few of the older wine bottles laying somewhere on the shelf. You never know what you will find in the older bottle, but that is what makes it fun, isn’t it? The first bottle I opened was 2007 Tishbi Cabernet-Petite Sirah Shomron Israel (12% ABV, 70% Cabernet Sauvignon, 30% Petite Sirah). Judging by the pronounced brickish, almost orange, color, my first thought was “this probably fully turned”. And it was not! Complex nose of dried fruit and herbs was supported by plums and prunes forward, but balanced palate. Good amount of acidity, tertiary aromas – this was a very enjoyable glass of wine. Only one glass, I have to say – by the time I wanted the second, the wine was gone. Without much thinking, I pulled another wine, realizing later that I opened another wine from the same vintage – 2007 Marani Kondoli Vineyards Saperavi-Merlot Kakheti Georgia (13.5% ABV). This wine couldn’t be more different from the previous 2007 – dark garnet color, not a sign of any aging, tight, fresh, blackberries and blueberries on the nose and the palate, firm, fresh and young. I’m really curious about how much longer this wine could’ve last. Spring Mountain District in Napa Valley, Israel, Georgia, and Ukraine – not a bad wine play for the holiday, what do you say? Here you go, my friends. I will leave you with some beautiful wines to look for. And how was your Thanksgiving, if you still remember it? Cheers! I remember my first “deep dive” into the Washington wines at the Chateau Ste. Michelle winery a few years ago, where I was told about the power of Washington Merlot. The explanation was given on the example of a group visiting Chateau Ste. Michelle from California, who were complaining that Washington Cabernet Sauvignon was too soft and mild as opposed to the Cabernet Sauvignon from California. The group was offered to taste the Washington Merlot wines next, and this is where they found the right amount of “power” they were looking for (or maybe even a bit more). 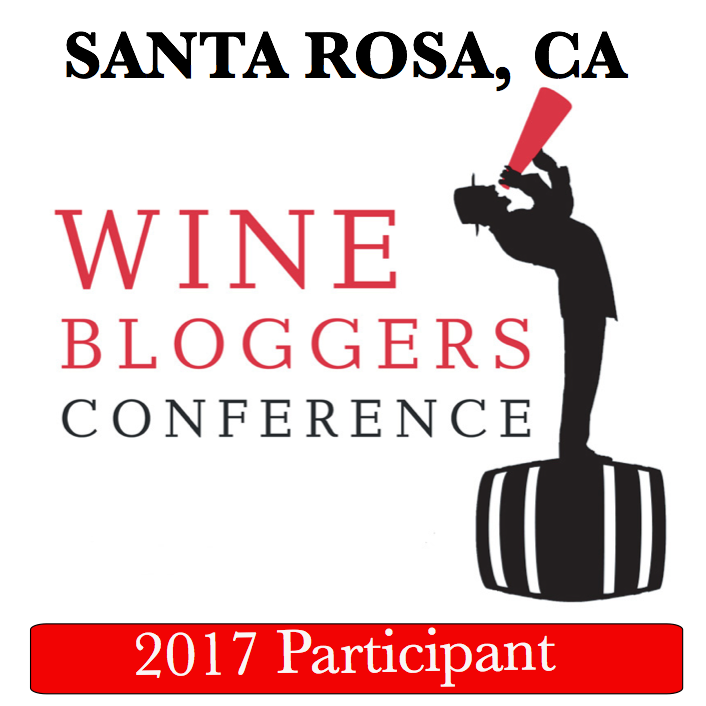 While attending Wine Bloggers Conference 2017, I was able to start the conference experience on a very high note with the deep dive pre-conference session on the California Cabernet Sauvignon, where we learned about one of the most classic California Cabs you can find – Beringer Cabernet Sauvignon. 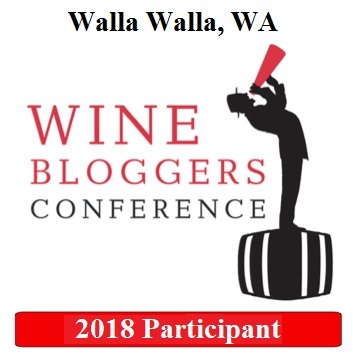 This year, at WBC18, we started on the equal, or maybe even higher note with the pre-conference session on Merlot. Very appropriately for being in Washington, and for the October being the #MerlotMe month, we were able not only taste a line of Merlot wines but to compare side by side the wines made by two of the Merlot pioneers and, unquestionably, the Masters – Duckhorn Vineyards from Napa Valley and L’Ecole No 41 from Walla Walla Valley. Dan and Margaret Duckhorn started Duckhorn Vineyards back in 1976, becoming one of the first 40 Napa Valley wineries. Even in those early days, it was clear that Cabernet Sauvignon was The Grape everybody wanted to work with. At that time, Dan and Margaret decided to proceed in their own way, and instead of joining the Cabernet Sauvignon movement, be unique and different and embrace the Merlot. Ever since their inaugural vintage in 1978, they never looked back and became known as Napa Valley Merlot pioneers and one of the best Merlot producers in the world, starting with their first release of Napa Valley Merlot in 1979. Today, Duckhorn Vineyards expanded dramatically and now comprise multiple wineries and brands around the USA – however, Merlot is the heart and soul of Duckhorn wines, and it is not surprising that 2014 Duckhorn Vineyards Three Palms Vineyard Merlot was the Wine Spectator’s 2017 Top 100 Wine of the Year. L’Ecole No 41 was founded by Baker and Jean Ferguson in 1983 when it became 3rd winery in Walla Walla, and 20th winery in the Washington state. Today the winery is run by the 3rd generation of the family, and sustainably farms estate Seven Hills and Ferguson vineyards. Merlot is the king in Washington, so it is not surprising that the L’Ecole crafts some of the best Merlot wines in Washington – however, their Cabernet Sauvignon, Syrah, and Bordeaux-style blends are equally world-famous. Now that you know the bit of the history, let’s talk about our tasting. In our Masters of Merlot session, we had an opportunity to taste side by side Duckhorn Vineyards and L’Ecole No 41 Merlot from 2008, 2012 and 2015 vintages, plus a cherry on top (thank you, Duckhorn Vineyards) – 2015 Three Palms Merlot. Before I will leave you with the tasting notes for these beautiful Merlot wines, I just want to share some general observations. The three vintages of Duckhorn Merlot we were comparing had a different grape composition between the vintages while maintaining the same oak treatment for all the wines. As I mentioned in my summary post about WBC18 experiences, Washington weather is very consistent, so L’Ecole No 41 maintained the same grape percentages between the vintages and the same oak regimen – the changing parameters were only harvest dates and the vineyard source composition, which gradually shifted from solely a Seven Hills vineyard in 2008 to the 50/50 share between Seven Hills and Ferguson vineyards in 2015 (L’Ecole folks are ecstatic about the potential of the Ferguson Vineyard, now introducing more and more single vineyard wines from it). Rutherford dust on the nose, chewy, dense, tart cherries, needs time! I want more fruit! Would love to try it in 5-8 years. Raisins on the nose, very explicit, beautifully dry on the palate, sage, anise, tart, showed a bit of Rutherford dust after swirling, great acidity. Amarone! I want to drink it NOW! Espresso, Rutherford dust (a bit less explicit than 2008). More fruit on the palate, bright, beautiful. Delicate, fresh plums, a touch of truffle notes, plums and lavender on the palate, delicate, fresh, round. Dark fruit, Rutherford dust, dark berries, a bit of bell pepper on the palate, plums, sapidity, interesting minerality. Needs time. Closed nose, a touch of mint, however – palate is beautifully ripe, open, clean, fresh fruit. Rich, opulent, caramel, anise, sage, on the palate coffee, ripe fruit, mocha, dark chocolate. Big and delicious. Were these wines similar, even between the different wineries? Of course. I love the presence of the Rutherford dust on many of the wines we tasted – after tasting best of the best in Rutherford in Napa Valley – the BV wines, I picked up that term and I always use it describe the perceived dusty impression of the wine’s aroma. L’Ecole Merlot was a lot more structured and minerally-driven. I would safely say that 2-3 hours in the decanter would help those wines a lot. The Duckhorn Merlot were a lot more fruit driven but offered an impeccable balance with that fruit. If I have to pick the favorite, it would be between 2008 Duckhorn (ahh, that Amarone-like beauty) and 2015 Duckhorn Three Palms, but there were really no bad wines in this tasting. There you have it, my friends. Beautiful Merlot wines, easy to love and appreciate, and most importantly, offering lots of pleasure. How is your Merlot Me month going? What are your discoveries or the old favorites? I have to say special thank you to Constance Savage of L’Ecole No 41 and Kay Malaske of Duckhorn Vineyards for offering this special tasting to the wine bloggers! Cheers! Another trip. Another stop at Trader Joe’s. Another “how do they do it? !” sentiment. My typical strategy in Trader Joe’s is to see how many wines $20 can buy. This time around, I decided to change that. Somehow, being in San Diego in California, there was sudden desire to focus on California wines. That, and maybe a bit of France – 2018 had been my personal France tasting renaissance so far. Of course, while I wanted to drink California wine, I was still on the lookout for reasonably priced bottles, not to exceed $20 – by the way, I know that good California wine under $20 is considered “mission impossible” by many, so this was another interesting challenge. After touching and turning tens and tens of bottles, I settled for maybe not famous, but very well known producers – Benziger Family Winery and St. Clement Vineyards from California. I almost added French GSM to the basket, but instead, went with the Rhone-style white blend – a classic combination of grapes (Viognier/Roussanne/Marsanne), and a great value at $6.99. How did the wines fare? Let me tell you all about it. 2016 Pontificis Viognier-Roussanne-Marsanne Pay’s d’Oc IGP (13% ABV, $6.99, $50% Viognier, 35% Roussanne, 15% Marsanne). While Viognier/Roussanne/Marsanne combination is a classic blend of Northern Rhone, this wine came from Languedoc, the winemaking region where everything is possible. Was it different than the actual Northern Rhone would be? You bet. Was it still delicious in its own right? By all means. Light golden color in the glass. After some time, the nose showed classic Viognier perfume of tropical fruit – nothing overboard, but well noticeable. As it is often the case with Marsanne/Roussanne combination, I almost preferred this white wine at the room temperature versus fridge-cold. A touch of lemon and lemon zest on the palate, characteristic plumpness, full body, with some hint of guava. Roll of your tongue goodness, with a perfect amount of acidity on the finish – just bring me some food. Drinkability: 8-/8. And good luck matching this value. 2014 St. Clement Vineyards Pinot Noir Napa Valley (14.5% ABV, $9.99). St. Clement Vineyards had been making wines in Napa Valley since the 1970s. One of their wines, a red blend called Oroppas, is one of my favorites, so this was an easy choice. 2015 Benziger Family Winery Cabernet Sauvignon Sonoma County (13.5% ABV, $13.99, 16 months in oak). Benziger winery was founded in 1980, and in the year 2000 became a Demeter certified biodynamic farm. Benziger wines generally offer good value for the money, and who can refuse a California Cabernet from a good producer? Yep, not me. Dark garnet, almost black in the glass. Beautiful nose of black currant and bell pepper. Unmistakable, textbook Cabernet Sauvignon on the palate – clean fruit, soft, open, black currant, eucalyptus, soft tannins, medium+ body. Lots of pleasure in every sip. Another great California value – well under $20. Drinkability: 8-/8. Here you go, my friends. Trader Joe’s is unstoppable in its mission of bringing tasty power to the people. What was your favorite Trader Joe’s discovery as of late? I’m off to have another glass of Cab while you are thinking about it. Daily Glass: Will It Merlot? Yes, the title of this post is a play on the theme of some of the Good Mythical Morning episodes, where Rhett and Link are trying to figure out how far they can take the usual food items in the unusual directions, calling those episodes “Will It …” (if you are not watching the show, you really should, here is the link for you). But this is where the connection with the popular show ends. And yes, we are talking about Merlot. But that also not very important, as the bottle was not opened just because I wanted to drink Merlot. The vintage was the culprit – 2002 – as this is the year when my youngest daughter was born. And as I’m sure many of you, oenophiles, out there do, I love opening proper vintages to celebrate birthdays. So the question was whether this 2002 Robert Green Cellars Merlot Napa Valley (14% ABV) would be still drinkable in 2017. I presented this question to a few of the twitter winos, and the consensus was cautiously optimistic, presuming the wine was properly stored (the bottle actually never left wine fridge from the moment it got into the house). Wine Spectator rated 2002 Napa vintage at 89, and “Drink Recommendation” column had gloomy “Past peak” reference. I wanted to learn a bit more about the wine from the producer’s website, but the link on the back label was non-functional, and google didn’t offer much help searching for “Robert Green Cellars”. Done with theoretical research – the proof is in the pudding wine glass anyway. The cork pulled out in a perfect condition. The wine is in the glass, and the first whiff had nice fruit in it, but the wine tasted a bit off. But – never judge the wine by the first sip, right? This rule is very important when it comes to the young wine, but this is even more important when it comes to the aged wines. 10 minutes in the glass brought this wine together – a perfect core of the dark fruit, maybe a touch of black currant, mint, firm structure, definitely a nice glass of wine. About an hour and a half after the bottle was opened, it opened up even more, but somewhere in the distance, more on the finish than anything else, tertiary aromas started to appear – this is when I tweeted to the same group that the wine was perfect but at its peak. Another 30 minutes later, the wine started closing back, but only in a good sense – acidity came to the forefront, fresh young black and red fruit came to dominance – I was clearly looking at a young and delicious wine, not more than 3-4 years of age. Then, of course, the bottle was empty. This was definitely a fun bottle of wine, with the self-attached “first world problems” – would the wine be still good or not. Believe it or not, but there was even the next level of fun associated with that wine. The little pictogram of the flute player, known as Kokopelli, which you see on the front label and the cork itself, most often is associated with fertility. What I didn’t know that Kokopelli also can be credited with the arrival of the spring. I have other 2002 bottles but somehow decided to open this particular one on the second official day of Spiring (the Spring in the USA started on March 20th). Oh well, as I said before, first world problems. I tend to abuse certain words in the conversation, especially when talking on the subject of wine. As you might easily guess, one of such words is “Classic”. I use this word in hope that it is the quickest way to convey my impressions about the wine. For instance, the words “Classic Red Bordeaux” or “Classic White Burgundy” would most likely paint a quick and vivd picture for the most of oenophiles to imagine how the wine actually tastes. While the wine is produced all around the world, such a broad stroke reference can be only applied to the well known and well referred to regions – saying “Classic Red Bio-Bio” (wienmaking region in Chile) or “Classic White Valais” (winemakiing region in Switzerland) would be an empty sound for majority of the wine lovers. Looking past the regions, we can also apply the word “classic” to the grapes themselves. There are probably 15-20 grapes which can be easily referred to in this way – “classic Cabernet Sauvignon” or “Classic Sauvignon Blanc”, for example, would give you quick pointers to how the wine might taste like. Yes, “Classic Bobal” or “Classic Resi” will leave most of us with no information at all. As this is not an epistolary exercise on the applications of the word “Classic” in the wine world, let’s get closer to the subject at hand, and talk about few wines in the practical terms. Today I want to talk about 2 classic regions and 3 classic grapes – for sure for those regions. So the classic regions are: California and Oregon. Would you agree that it is easy to refer to these two world renowned winemaking regions as “Classic”? I hope you are nodding. And for the grapes, I also hope you would share my “classic” sentiment – Pinot Noir and Chardonnay from California Napa Valley – aha, I see you smacking your lips. And Pinot Noir and Pinot Gris from Oregon – need I say more? Talking about the wines from Oregon, the Pinot Noir is of course an uncontested king of the Pacific Northwest of the USA. Commercial Pinot Noir production in Oregon started in the 1960s, and then from the beginning of the 1990s, Pinot Noir from Oregon needed no introduction anymore. With Oregon Pinot Gris, you might argue with my “classic” designation, however, today, you will practically not find a single Oregon winery which will not produce Pinot Gris. Oregon Pinot Gris has its own, easily recognizable style and character, so in my mind, Pinot Gris wines are the “classic” element of the Oregon winemaking. Thus let me present to you the first two of the “classic” pairs – Pinot Gris and Pinot Noir from two wineries in Oregon: Willamette Valley Vineyards and Pike Road Wines. 8+, one of the most delicious Pinot ever, perfect. Our second Oregon winery takes its name from the Pike Road, which winds through the hills of Yamhill-Carlton AVA. This is the second winery for the Campbell family, who founded Elk Cove Vineyards in 1974. Pike Road takes advantage of 5 generations of the farming experience, including 40 years of tending the wines. P: crisp, clean, perfect fresh acidity and white stone fruit, creamy. Outstanding. V: 8+/9-, wow, totally unexpected and amazing. I know Oregon Pinot delivers, but this far exceeded my expectations. Might be the best QPR for Oregon Pinot Noir in existence. Love rustic labels too. There you have it, my friends – some new and interesting wines worth seeking. And whether they will hit the “classic” note for you – it is entirely your decision. Cheers!